Gross Weight (GVWR) 10500 lbs. 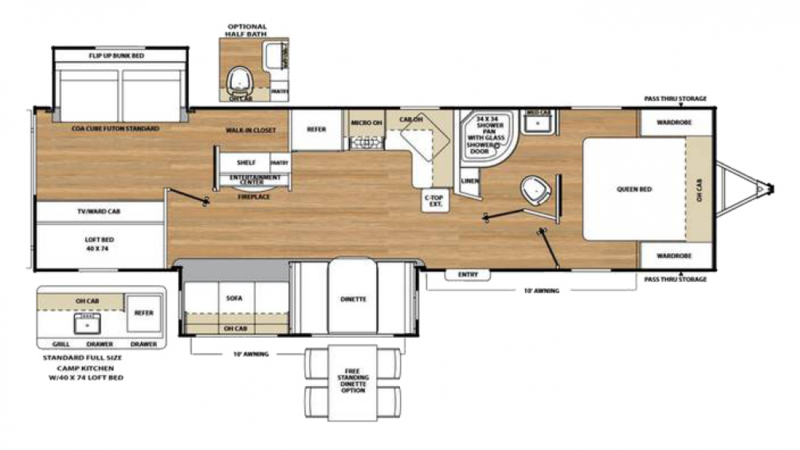 The 2018 Coachmen Catalina Legacy Edition 313DBDSCK is ultra-reliable and built for the long haul! This Travel Trailer is the perfect choice for camping lovers, with its abundance of wonderful amenities! You can find this model and other quality RVs at wholesale prices at National RV Detroit! We've been guaranteeing the nation's best prices since 2008! 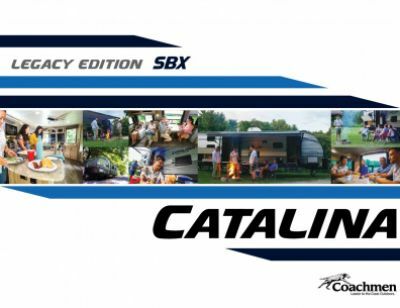 You can visit our site at 44700 N I 94 Service Dr Belleville Michigan 48111, or we can bring the Catalina Legacy Edition 313DBDSCK to you with our 24/7 delivery service across North America! So give us a call today at 734-439-3400 to start your RV adventures! The Coachmen Catalina Legacy Edition 313DBDSCK handles like a dream on the road! It's 35' 11" long, 8' 0" wide, with a hitch weight of 958 lbs! The 2 flush mount slides reduce wind drag and open up to maximize the living space, while the sturdy GVWR of 10500 lbs means you'll enjoy years of RV fun! At the campsite, you can relax outside in shade and comfort under the easy to open 19' 0" patio awning! A group or family of up to 10 can find refuge at night in this camper! Among the coziest sleeping accommodations is the master bedroom's Queen bed! Whether you've got lots of kids or lots of friends, they'll all sleep cozy and secure in the roomy bunkhouse with its Bunkbeds! If the weather is gorgeous and the family is having a great time outdoors, don't miss any of the fun at mealtime! Thanks to the outdoor kitchen, you'll make tasty breakfasts, lunches, and dinners and still enjoy your time with the family in the sunshine and fresh air!